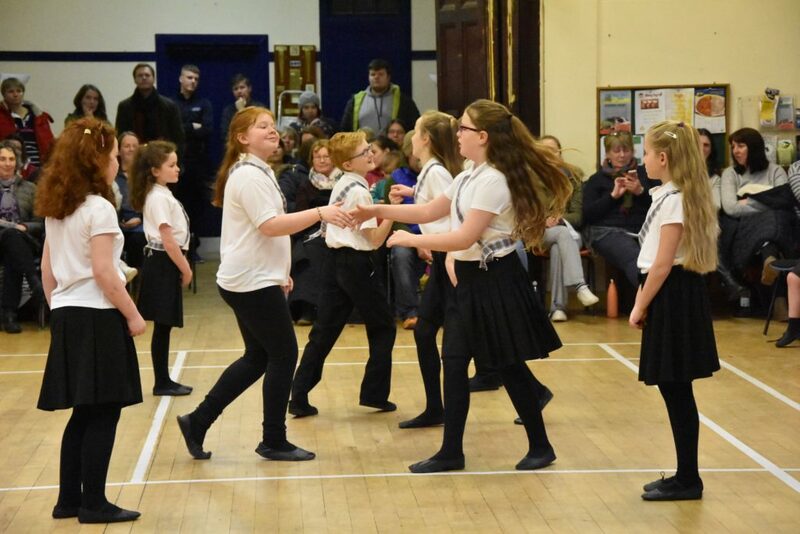 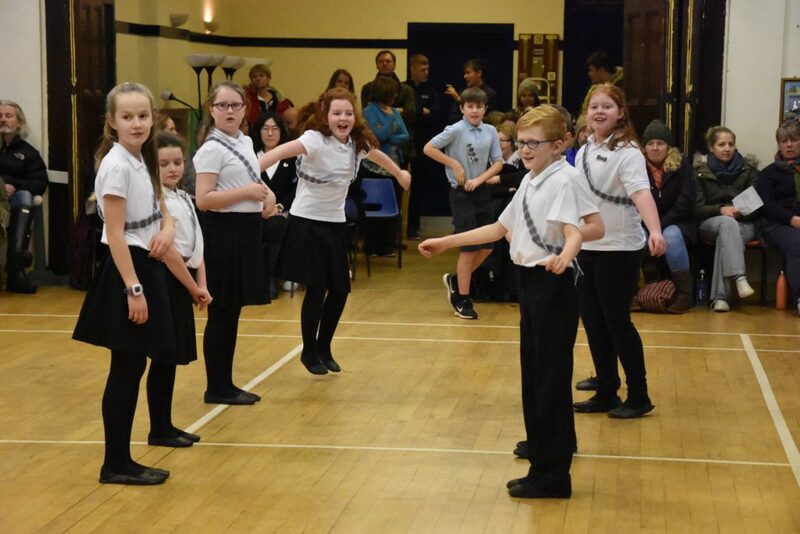 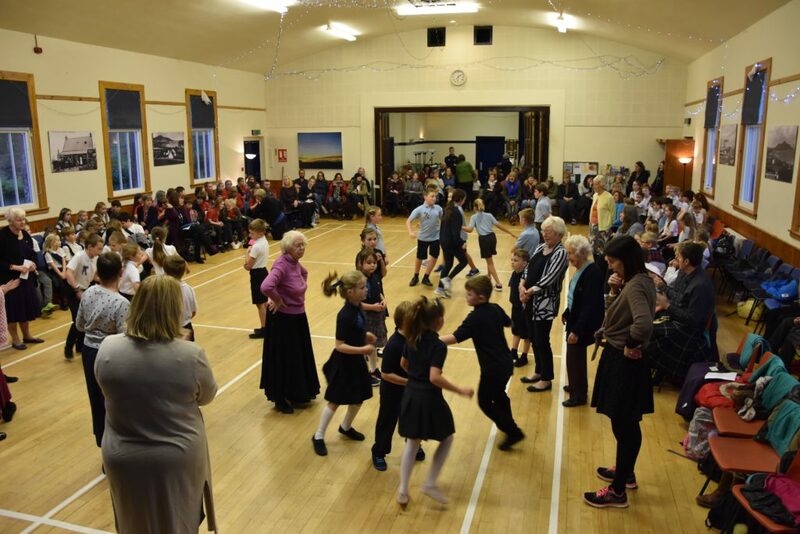 Pupils from all of Arran’s seven primary schools took part in the annual Scottish Dance Festival at Whiting Bay Hall last week attended by their families. 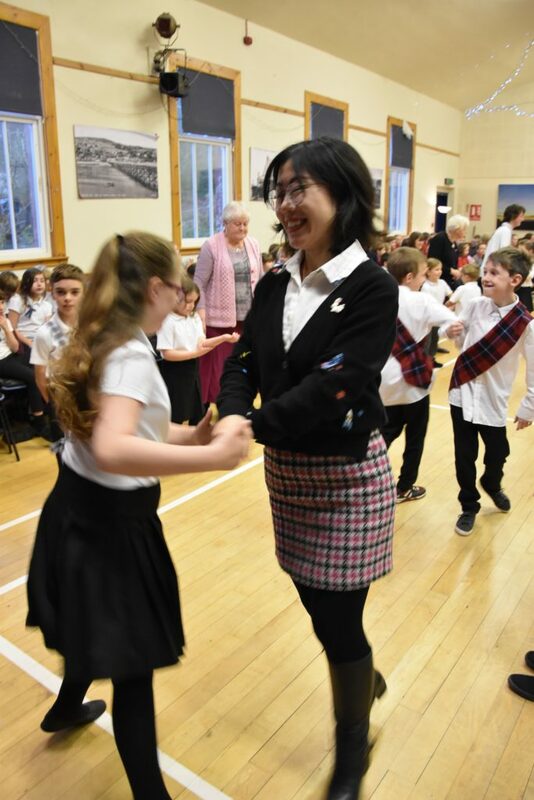 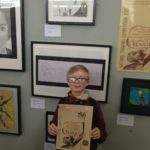 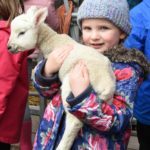 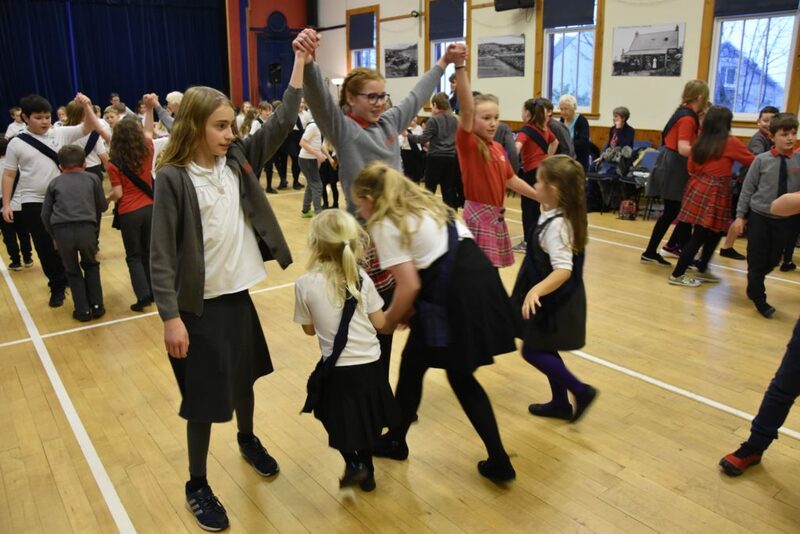 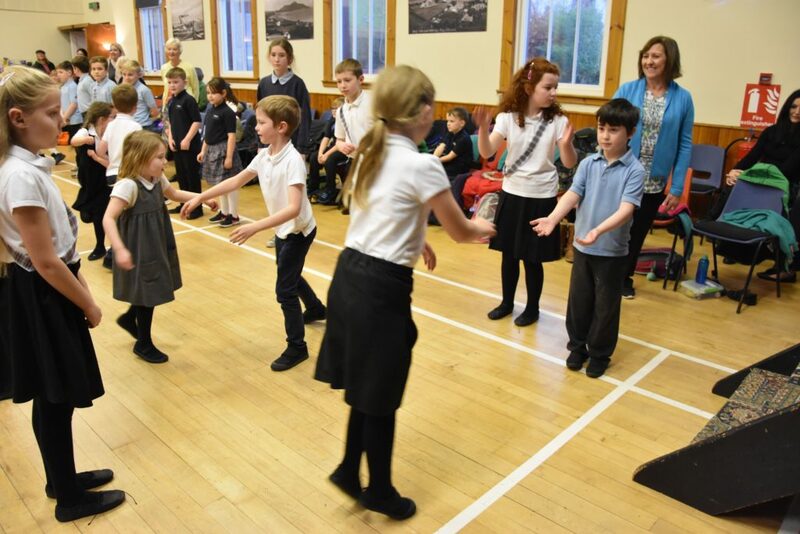 Now in its 20th year, the festival, which is also known as the Day of Dance, is a celebration of Scottish dancing where pupils learn the dance steps and enjoy an afternoon of active fun with their friends. 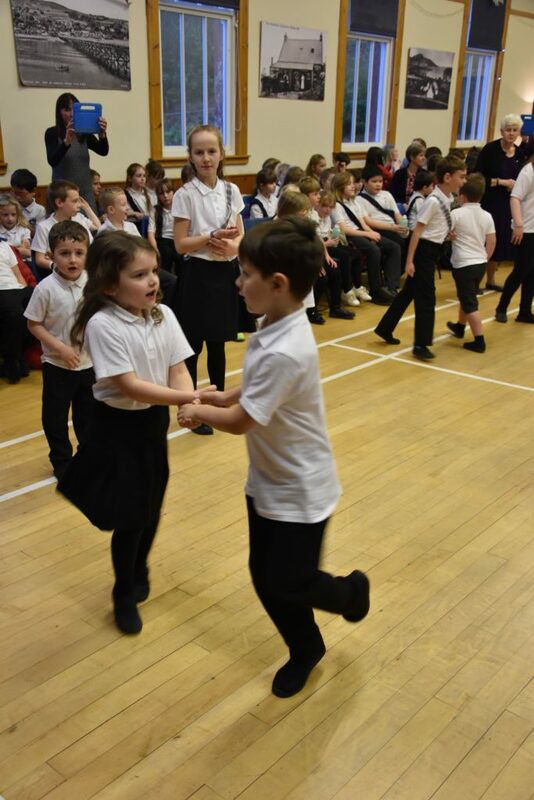 Owing to the cancellation of ferries because of the stormy conditions, accordionist Ian Muir was unable to attend, however teachers improvised with recorded music and the children still enjoyed themselves immensely. 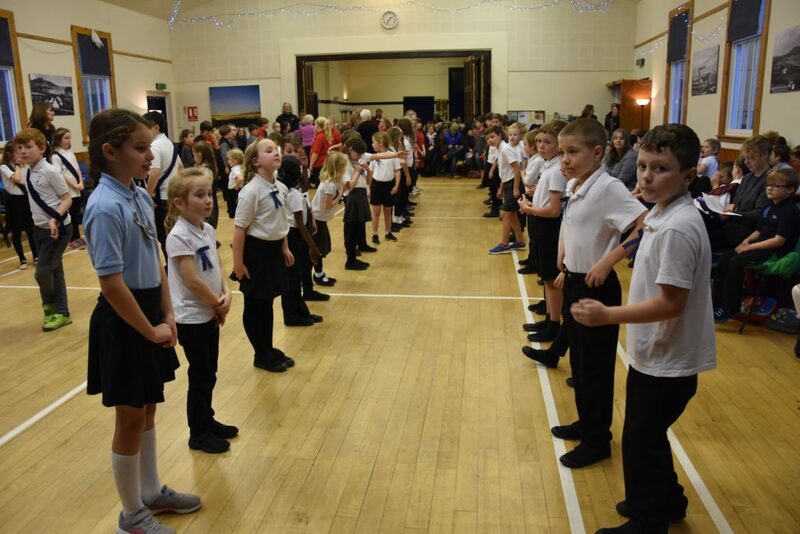 Piper Rory Currie provided some live music and the accompaniment for the standard bearers parade. 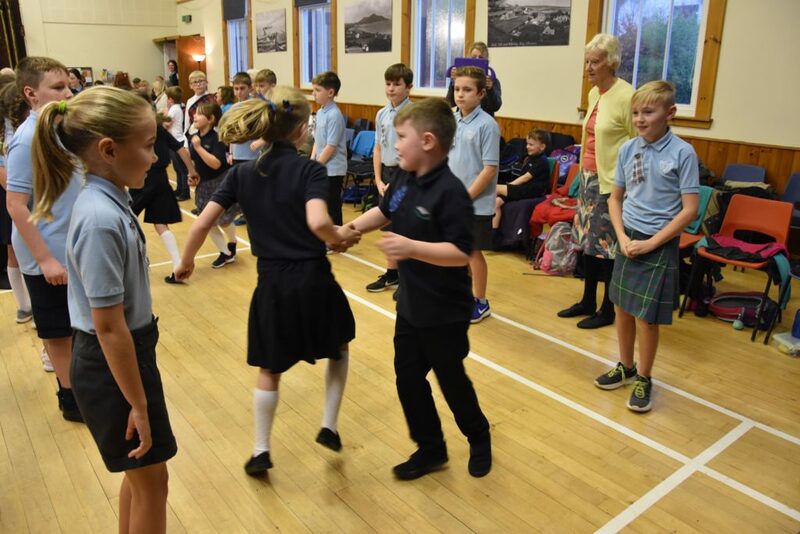 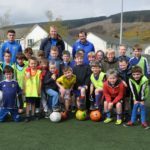 Organisers thanked Active Sports Coordinator Andrew Brisco and all of the teachers and pupils and parents who had put so much effort into teaching and learning the dance steps and for contributing to an enjoyable afternoon of dancing.